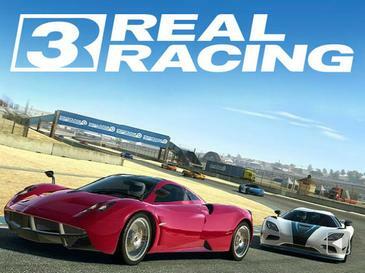 Real Racing 3 is one of the most popular racing games on Android and iPhone. The game was released in 2013 but despite that fact that it’s quite an old game it still has a big fan base. The game is a lot of fun to play, but oftentimes you run out of money or gold. Unfortunately gold can be quite hard to obtain unless you’ve got deep pockets and are willing to shell out a lot of money on the game. But what about Real Racing 3 Cheats? Do they exist, and do they work? In today’s post we’re going to find out. If you’re not willing to spend a lot of money on the game then you’re probably looking for a way to get gold for free. 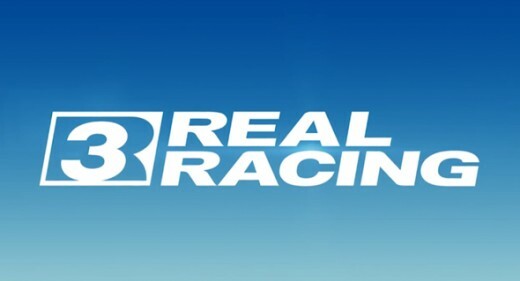 If you are then you’ve most likely seen websites that offer cheats or hacks for Real Racing 3. There are several websites that offer these cheats but how can you be sure which ones work? Normally you’d have to test all these hacks out yourself but not anymore. We’ve done all the testing already and will tell you the truth about cheating in Real Racing 3! 1 Is it possible to hack or cheat in Real Racing 3? Is it possible to hack or cheat in Real Racing 3? Real Racing 3 Cheats are not hard to find. A single search on either YouTube or Google will show you several websites that guarantee you an unlimited amount of gold with the click of a button. Usually the sites that you find look pretty legitimate; they have a slick looking generator and usually contain some sort of proof that this generator will really deliver the gold into your account. However, upon testing these Real Racing 3 hacks we discovered that none of them actually work. They all make huge promises of being the only working generator on the internet, but not a single gold or money was added to our account after testing them out. If you see websites that claim that you can obtain free gold with the click of a button then we highly recommend you to avoid them. They won’t work and you’ll just end up disappointed and wasting your time. There’s a very simple reason why these hacks for Real Racing 3 do not work. The amount of gold and money you have is stored on EA’s servers. This means that in order for someone to create a working generator they would need access to EA’s servers. Getting access to these servers is nearly impossible unless you’re an employee of EA, but who would realistically risk their job just to create a free generator? However, there are alternative methods of obtaining free gold in Real Racing 3 that you can take advantage of. If you’re looking for a way to get gold legitimately then our guide is your best option. You find our if you scroll down a bit and click on the button. Our guide contains a very powerful and easy method of obtaining free gold. Our guide is very easy to follow because it’s in a step-by-step format. You can simply access the guide, follow the steps and obtain all the gold you’ll ever need without having to pay anything at all. The technique we show you in our guide is unknown to almost every Real Racing 3 player which is partly why it’s so effective at getting you free gold. We definitely recommend that you check it out. The guide is free to access so you’ve got nothing to lose. In addition the method in our guide works on both the Android and iPhone version of the game and does not require jailbreak or root. In fact, you do not need any technical knowledge at all in order to take advantage of it. Also, you do not need to worry about your account getting banned when you use our guide. The method within it does not break any of the rules. Therefore your account is completely safe! A more illegitimate option that you can consider is hacked or modded APKs. These hacked APKs are only an option for people who play on Android. However, while these features might seem interesting you have to keep in mind that using modded APKs do not take any effect on the live game. Therefore we cannot recommend using them. We also cannot guarantee that they are safe to use, they might put your device at risk. Real Racing 3 is a very fun game and having a lot of gold and money available in the game takes the gameplay to the next level. While there’s no shortage of websites that offer hacks or cheats for Real Racing 3 none of these generators actually work. If you see any website that claims that you can obtain thousands of gold with the click of a button we recommend you to avoid them. If you want to obtain free gold you have 2 options. The first one it to use the guide we’ve created. This is the best option because you’re not breaking any of the rules when you do so. The second option is to use a modded APK. However, this is option has 2 major drawbacks. First off, we cannot guarantee that they’re safe to use. Secondly, it’s only available for Android. Overall, we highly recommend using our guide if you’re looking for a legitimate method of obtaining free gold. We hope this post was useful to you. For any questions of suggestions feel free to leave a comment and we’ll get back to you as soon as possible. Happy racing!